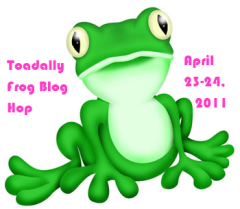 Welcome to the Toadally Frogs Blog Hop! We have Toadally amazing crafters hopping along...and we hope to give the Easter Bunny a leap for his money! 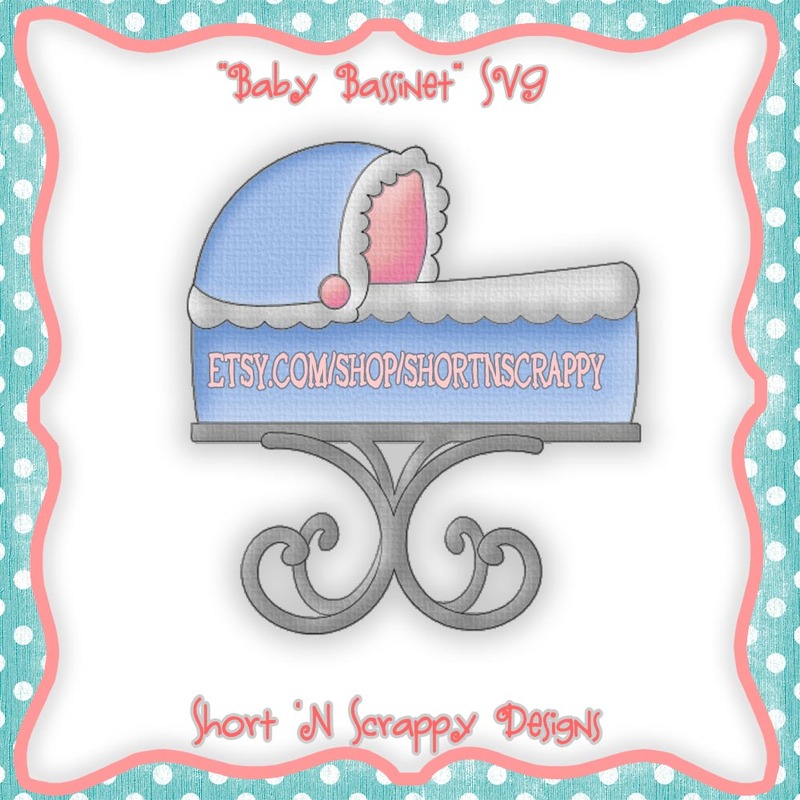 You should have come from the very talented Melissa Allore at Disney Dreamer Designs. If you just hopped in for a visit and want to join in the fun, hop on back to Karelj's Blog at www.kareljcreations.com to start from the beginning. I made a froggy invitation as my project for this hop as well as the April Challenge for One by One the Flamingos are Stealing my Sanity. If you like my invitation, head on over there after the hop and vote for #13. Frogs are not my forte but this cute little guy was really fun to work with. He's so fly!! I have a little candy as well for one of my frogtastic hoppers today. *Become a follower if you aren't already. *Leave a comment including a way to contact you. *You can comment on both days of the hop, giving you a double chance to win. Now enough of my froggin' craziness....Your next stop is the gifted Colleen McCauley at Col’s Creative Corner . Here is the line up just in case you need a little help along the way. Join us Saturday and Sunday for a Toadally Hoppin' Good Time. Take a break from the Easter Bunny and hop along with some awesome, crafty bloggers and get in on some great candy as well. The hop will begin with the fabulous Karel from One by One the Flamingos are Stealing My Sanity. I'm hoppin' to see you back here tomorrow!! First I want to thank all of you for following my blog and sharing your amazing comments and talent with me. I haven't been to everyone's blog yet but I am still going through the list of comments and will keep hopping until I have visted all of you!! 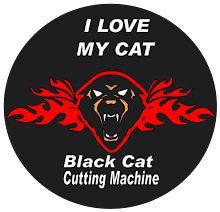 I am one of your followers and I love your blog. Thanks for the chance to win. Congratulations Donna!!! I will be contacting you shortly! This giveaway has been so fun for me. I plan to do this again very soon so stick around!! Hurry on over to my "Thank You" Giveaway. 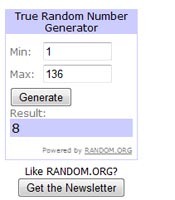 This giveaway will be closed tonight at midnight!! The winner will be announced tomorrow ..... after I have my coffee of course. 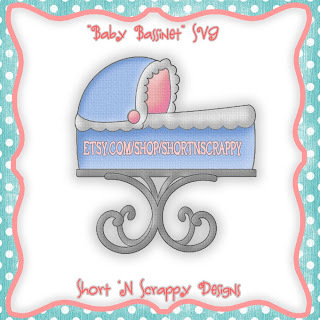 Also please visit my friend Kathryn from Creations with Kathryn. 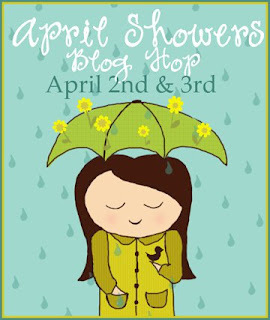 She is hosting the "April Showers" Blog hop. I just finished it and I enjoyed every splashy second of it. I will definitely go back for day 2!! There is great candy along the way. So head on over there and get in on some hoppin' action! !